The Howard Leight Vapor II Series glasses feature a sleek, sporty style at an affordable price. Black frame and clear lenses. Anti-fog lens coating minimizes fogging in extreme conditions. 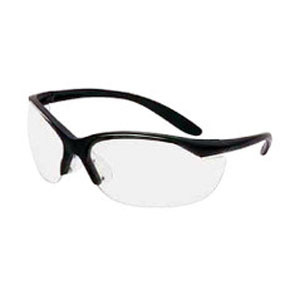 Wrap-around polycarbonate lens. Soft nose bridge prevents slipping. Lightweight frame design for all-day wear. Meets ANSI Z87+ and CSA Z94.3 standards.